Since 1981, missionaries Tom and Mary Holman have worked with the Anufo people – who number around 137,000 – in Ghana. The Anufo remain strongly influenced by the practices of traditional religion and Islam. Tom and Mary joined Anufo Christian leaders to translate the New Testament and portions of the Old Testament into the Anufo language and to promote the use of these translations. They are now using their expertise to assist other translation projects in Nigeria as well as translation of the rest of the Old Testament into Anufo. 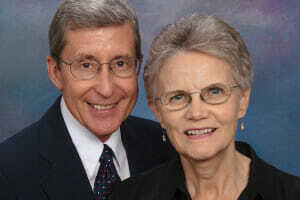 The Holmans are associate missionaries with Lutheran Bible Translators, working under the management of Wycliffe, USA. In Ghana they work under the auspices of a national Bible translation organization. In Nigeria they work under another Wycliffe affiliate organization. Tom and Mary invite you to join them in the task of helping the Church fulfill the Great Commission by making God’s Word accessible to every people group and nation.